You forgot to include Torii Hunter’s clubhouse leadership! How could you forget that? I love you. Also, is that the Earth coming at us very quickly? I think that is huge. What about # of double plays? Have the twins turned an unusually high number, average etc. as compared to other teams & years past? I wonder if missing bats becomes a bit less of a priority for success now that less PED’s are used overall. In theory is it possible that hitter contact has become less dangerous overall in MLB but would still lead to as many double plays with runners on base. ( Possibly even a few more since there isn’t as much artificially enhanced speed)? trash” is possibly the best line I’ve read in sports writing in years. It seems to me Molitor is like a cold hearted poker player who only makes bets he can win. Don’t play the wrong side of the platoon. Don’t let a gassed starter or overmatched reliever finish an inning. Don’t start 2 inept statues in the outfield. Take extra bases but not risks. These are all just observations but I would guess the numbers back up that these decisons are being made differemtly. Molitor is making decisions that work well with this roster. Another thing I see that I don’t know if it’s been coached is the length of starts. Which makes sense because if half of the bullpen is shaky, then three runs in 7 innings is better than 0 runs in five innings, because it maximizes your wins in the long run. 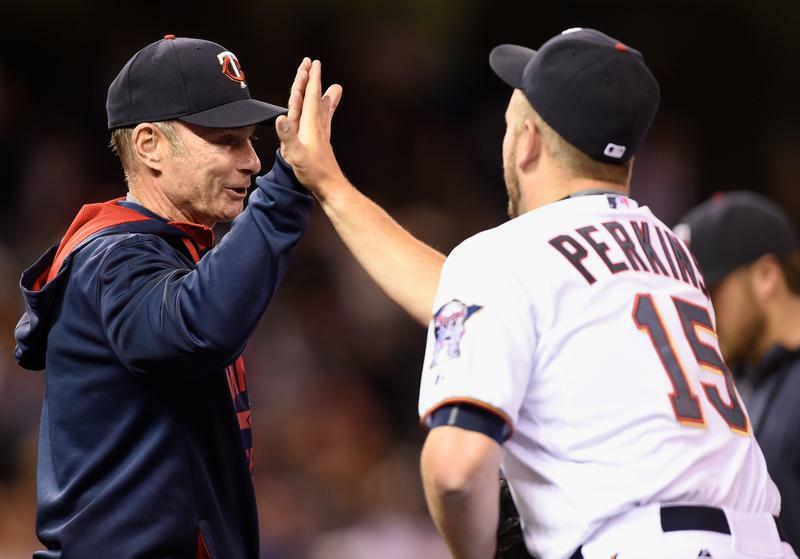 Good points — it seems like Molitor has got a great handle on this team. This team is showing that sabermetrics shouldn’t be the only tool when it comes to assessing a team/player. It’s a valuable tool. It’s not THE tool. The turn around this season can also be attributed to improvements made in the field. Their outfield is actually respectable with Arcia no longer playing one of the corner spots, and Hicks making plays in center. Danny Santana’s defense continues to improve. One outstanding defensive play in a close game can and has changed the outcome. How much credit does Neil Allen deserve? Paul Molitor? Twins have been fun to watch. I don’t think anyone advocates that sabermetrics should be the only tool. Regardless, what does this team’s performance have to do with downgrading the usefulness of sabermetrics? 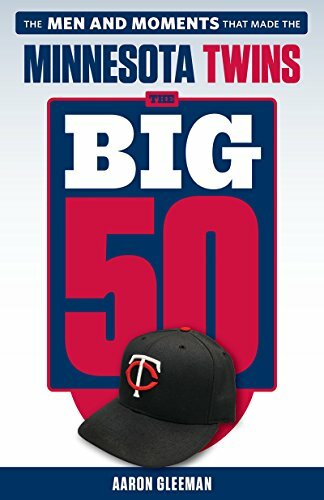 I don’t think anyone predicted the twins would be sporting this record this late into the season whether you look at old school stats, new school stats or just use your eyeball and gut. I think the amount of credit due to managers and coaches is incredibly difficult to assess, which is why the variance in pay across coaches and managers is relatively small. If any coach were a lot better than average and we were able to measure it, they’d have a much larger paycheck. Empirically, teams are willing to pay, what, $7 million per win above replacement for players these days, so if a team thought a manager was going to get them a couple wins above the replacement manager, then top managers would be getting paid closer to $15 million a year than the $1 million coaches actually get. The one place we do agree is that it is certainly a lot of fun to watch! –Did you not read Aaron’s post? I don’t understand, are you saying that what Aaron wrote is sabermetric-y and it doesn’t do a good job of explaining what we’ve seen? I guess I would argue the exact opposite, I think this article does a nice job of explaining how the twins have gotten where they are without the use of super complicated advance metrics. The article is filled with things about batting average with runners on base, clumping hits together, length of starts by starting pitchers (and runs allowed in those starts) and ERA of the bullpen. Those aren’t sabermetric concepts, the arguments are just based on solid observation and some critical thinking, I guess I don’t consider that sabermetrics. 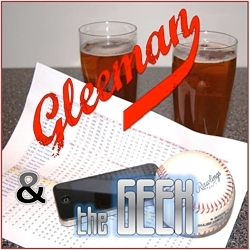 Sure, he sprinkles in some observations based on xFIP and WAR but I don’t this, or hardly any of Gleeman’s posts, hang their hat on sabermetrics. So essentially, advanced stats will tell you that advanced stats are deceiving? Average the OPS+ by position of players who have played the most games. The Twins as a team are well below average. Eye test will tell you something else. I’m not saying advanced stats aren’t important. However, people on this site get a little carried away with the importance of advanced stats. This part of Aaron’s post begins with a puzzle: How have the twins scored above average runs with below average hitting? Aaron rationalized the puzzle when he wrote the Twins are clumping hits together, and thats a good way to score a lot of runs. I’m not sure how that is a mark against advanced statistics. I think the takeaway from this part of the analysis is that if the Twins continue to hit with the same OPS, one would expect fewer runs in the future. This statement requires the assumption that clumping hits together is not a sustainable skill or strategy. Now if you think that clumping hits together is something the Twins can continue to do, then the Twins can continue to score above average runs with below average hitting (but one might wonder why the Twins should be better at clumping hits than any other team). It just comes down to the assumption we make about the ability to sustain a pattern of clumpy hits. I’m not sure how this is manipulative. Ha ha ha! You just proved his point. Here is what I say. There are two types of people. People who played, and people who think advanced statistics are the bible. Of course there are exceptions, silly! But this is mostly true. I didn’t think this was a contest, and I didn’t mean to frame it that way. I actually did play baseball and I don’t think advanced statistics are the bible, neither of which are relevant to the argument. I’m still cloudy on what the difference in our opinion is here. Perhaps we disagree that clumpy hitting is sustainable? That’s a completely reasonable counter argument. I don’t happen to agree with it, but it’s not unreasonable. Certainly no need for a ‘gotcha’ moment. Perhaps your point is that we can’t measure things, or we are measuring the wrong things and it takes experience playing the game to understand how teams generate runs. Also a reasonable argument, another I happen to disagree with. If that’s the point of contention, then how do we attempt to explain things that appear counterintuitive? Just leave it as “those who didn’t ever play could never understand”? Isn’t there some possibility that thinking about it from an non-players perspective could still shed light on the mechanism, or is that out of the question? I’m not out to prove anyone wrong or ‘win’ an argument. I find it interesting that the Twins are scoring more runs than teams that appear to be hitting better. I think it’s interesting to try and reconcile that fact and in doing so we might even be able to learn about the feasibility of sustaining the trend. Most of all I just don’t understand what in Aaron’s original post was controversial. Oh Snap!!! You go, girlfriend! SASSY! Just solid team play is happening, somehow. It’s great when you aren’t digging out of a hole in the early innings, as in the past. And the Twins have no perfect lineup. Dozier is back at lead-off with anyone/everyone else backending the lineup. Hunter at second? But where else would he be, or who would be second otherwise. Mauer is driving in base runners, good. We have no set clean-up hitter. And it’s a lineup that has found places for Escobar, Robinson and the back-down-to-earth Suzuki. You wonder what will happen when the Twins finally decide to play Hicks, Santana, Pinto, Arcia and Vargas everyday — with Rosario and Escobar as the two main bench guys.The bullpen could be a disaster, except Fien is coming back and will take some burden off of Thompson and Boyer. Yet even this last week the amount of innings given to Tonkin, Pressly, Duensing and Graham have been slim, and Stauffer is just taking up space. It’s great when the starters do go long, but you then have to utilize your bullpen so everyone gets work. But IT IS GOOD the starters go long. When Santana returns, who goes. We need to give May, then soon Meyer, and eventually Berrios opportunities to pitch and stay. Poor Milone! Excellent analysis, Aaron! It does seem like the starting pitching is getting steadily better. Hughes is finally locked in again, Pelfrey should have had a shutout through 7 innings (why are they playing Escobar in left field? ), Nolasco is no longer an embarrassment (but still not worth his salary), Gibson and May are solid. I think if you ran the numbers for the month of May, Twins starting pitching would be close to the top of the league. The other thing I’ve observed is, the defense is way better since Arcia went on the DL. Rosario/Robinson, Hicks, Hunter is a pretty good defensive outfield. Plouffe and Dozier are playing at a Gold Glove level. Santana, with all his errors, is one of the best I’ve seen at getting to a ball hit in the hole and making a hard throw to first. Again, I think if you ran the numbers for the month of May, the defense would be in the top third of the league. Maybe better. It’s a good thing too, because the offense has been getting worse. This team is starting to look more like the Royals, winning on pitching, defense, and timely hitting. For the month of May, Twins are top 10 in all of baseball in ERA. 4th in the AL. What are starters for the month? Season? It’s probably wishful thinking to say our rotation has flexibility (any of these starters could implode at any time) but when Santana returns there are 7 guys for 5 spots. I expect the Twins to stick with the veterans, unfortunately. Replace May with Santana. Keep Milone down in AAA until Nolasco totally implodes. If they could get anything for him, I’d like to see them try and trade Pelfrey while he’s on a roll and then bench Nolasco and roll the dice with Milone/May/Gibson/Santana/Hughes. I think Twins will trade someone when Santana returns. IIRC, Nolasco has already said he wishes he were back in the NL. If he keeps performing well, his wish might be granted. Great post. Also, Twins are now tied for 1st! This is wonderful. It’s so nice to have real outfielders making plays. It changed the game. Defense is missing from this discussion, as is the role of an added veteran like Hunter. And managing. I think overall OPS is a better predictor of future runs scored than OPS with RISP. So based on that alone, one would expect their scoring to drop. Balancing out this expected regression, however, is the fact that they have a lot of young hitters who are continuing to learn and improve. I would expect, based on the stage of their career alone, that Santana, Rosario, Arcia, Vargas, Hicks, Pinto, etc., are more likely to improve in overall OPS than regress. Or at least, the ones that continue to get playing time will! Add to that the anticipated addition of stud prospects like Buxton and Sano and you have further reason to project an upswing not a downswing. Will their runs scored go back to correlating more with overall OPS? Almost certainly. But no one expected them to lead the league in runs per game all season, as they did this month. We just want to see improvement — and boy, are we seeing it! The starting rotation is no longer the bottom of the barrel; they have seven guys who can give you a legitimate shot to win every day. The relievers are holding their own, and could very likely improve: the late inning guys are fine, and the middle inning guys are likely to be fortified by a starter or two bumped from the rotation. And possibly even Alex Meyer. The fielding may not be great, but is more likely to improve than get worse. There may be a gut wrenching month or two every now and then when they just stop scoring, or the pitchers implode in bunches. But I don’t think that’s the status quo any more. I think the long awaited rise has finally started! 1) At some point I read that the twins were emphasizing “quality at bats”. I never saw a definition of this, but if we were to assume that it had something to do with having longer at bats and/or forcing pitchers to throw better pitches (e.g. not chasing pitches that are far out of the zone) than (a) do we know if Twins are actually having more quality at bats than other teams and (b) is it possible that the team is getting something out of these at bats even if they still lead to outs (and therefore don’t influence OBP or OPS), like a better understanding of the pitcher that can be leveraged in the right situation? 2) One thing that’s been emphasized a couple of times is that we don’t have a regular hitting above 300 — is it possible that a team with a more consistent line-up (ie less deviation amongst the avg/obp/ops of different hitters) has a higher run-scoring potential than a team with the same overall metrics, but less consistency? Or a slightly different version of this question, is it possible that where the hits are coming from in the lineup has an influence in addition to just the total number of hits? 3) Is it possible that the increase in productivity with runners on is driven not by luck, or “clutch”, but rather by an advantage the Twins have figured out how to exploit? The first thing that comes to mind is stealing signs from the catcher? Or exploiting the change in infield positioning that results from holding baserunners on? Would be very interested in hearing if anyone has any thoughts/analysis on any of this ideas! In the meantime, lets enjoy first place while it lasts. Go Twins! !